Kyle Matthews, CMPE has worked solely in healthcare for his career which now spans 16 years. Starting off in the ASC world out of Nashville, TN, Kyle now resides in Phoenix and serves as CEO of Phoenix Heart. With 6 locations and an office-based cath lab, Phoenix Heart continues to grow under Kyle’s leadership and has been voted #1 cardiology practice in the state by Ranking Arizona two years in a row. 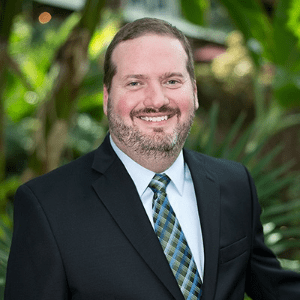 Kyle currently serves as President-Elect of the Arizona Medical Group Management Association and is a former member of the National MGMA Board of Directors. Kyle’s role is instrumental in driving forth initiatives that benefit physician and patient interests. Whenever spare time can be found, Kyle enjoys cheering on his Arizona Diamondbacks, chasing around his two Shiba Inus or flying high in the sky as a private pilot out of the Chandler airport.